Ah ha! Just to prove that I don’t get too hung up over the lack of quality of my photos for the blog, here’s a quickie post and two recipes because I promised I would post these over on the CCM Facebook page. They’re just everyday fare, not the sort of thing I would normally think of posting, but hey, they’re really good, so why not? It’s all iPhone photo territory here so trust me when I say that the photos do not capture the deliciousness of these simple and versatile pancakes. I’m only cringing a little, promise. Macros for each recipe are provided below and they are schweet. 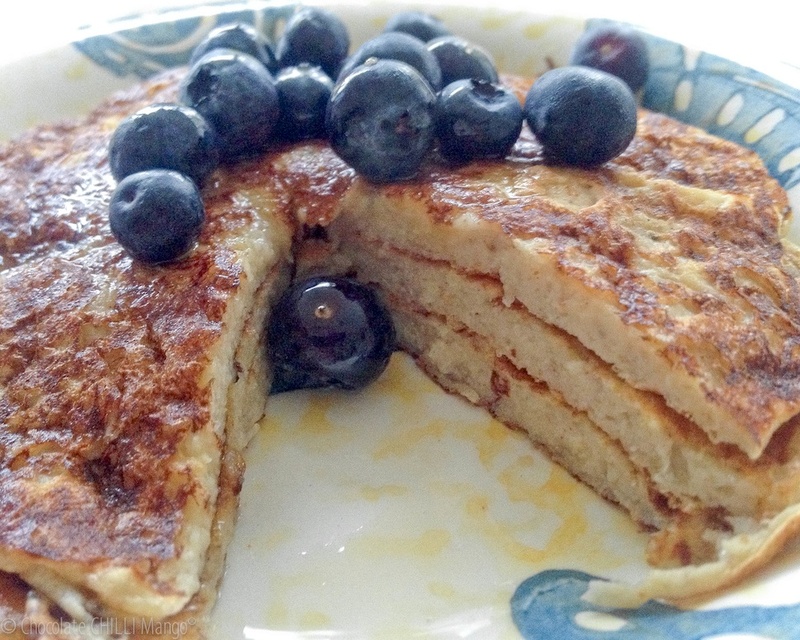 First up, a winning high fibre pancake that I posted on Facebook a while ago. Fluffy fluffy fibre goodness using pea protein isolate. After that, a combination of leftover sweet potato and banana, using two ingredients we often do have lying around. This one uses whey protein, although you can use whatever you like. Both simple but good. Hop to it! Start mixing, start flipping, topping with good things, and EAT. Blend or whisk together all the ingredients. 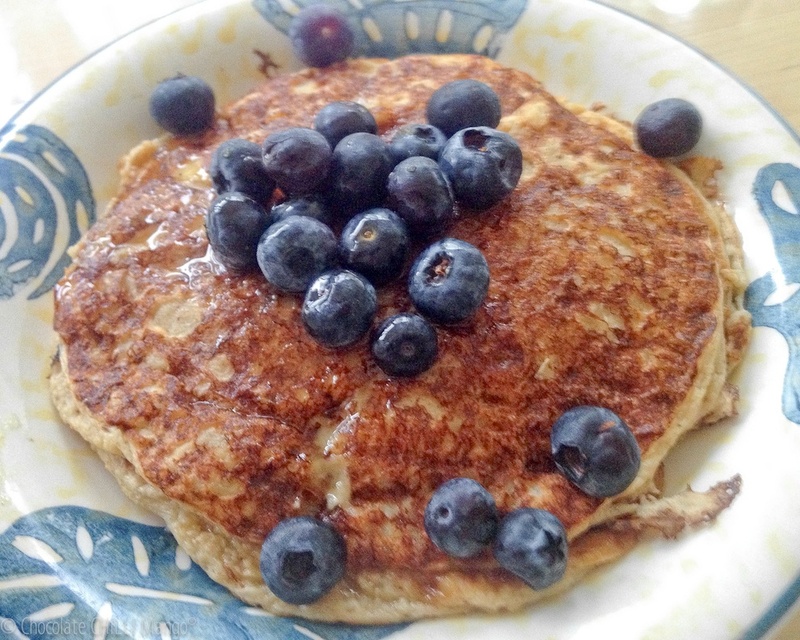 Psyllium will thicken up the pancake batter, even as it stands while you cook, so add a little more coconut milk or water if needed. I just add a bit of water. It also depends on the size of the eggs you use. I used extra-large eggs (59 grams each). Cook the pancakes in a non-stick pan. I use a minimal amount of little olive oil spray or coconut oil to cook them. I made six from the quantity of batter in the recipe. Serve immediately topped with fruit, yoghurt, and maple or coconut syrup. Blend all the ingredients together. Let sit for 10 mins or so, if you can. Cook the pancakes in a non-stick pan. I use a minimal amount of little olive oil spray or coconut oil to cook them. I make about four larger pancakes with this batter. 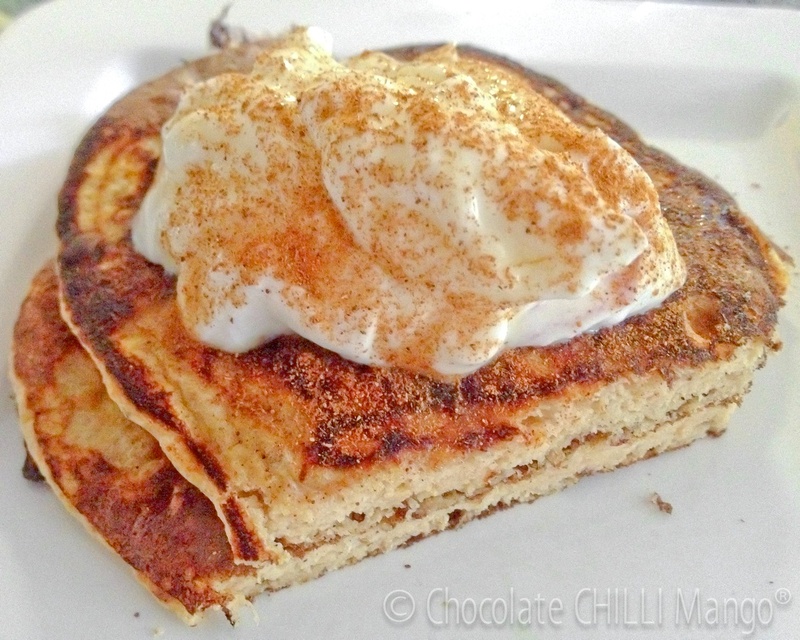 Serve immediately topped with yoghurt, cinnamon, and maple or coconut syrup. A great topping is the lemon ricotta cream in the first photo. Simply mix together an equal quantity of fresh ricotta and thick Greek yoghurt, and a squeeze of lemon juice. 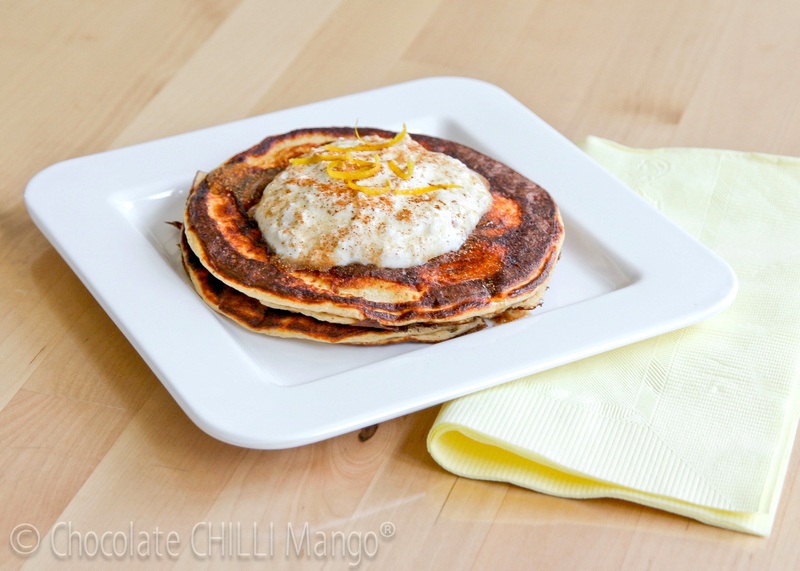 Top your pancake stack, sprinkle with cinnamon, and freshly grated lemon zest. Drizzle with a little maple syrup. Fruit makes a lovely optional extra! 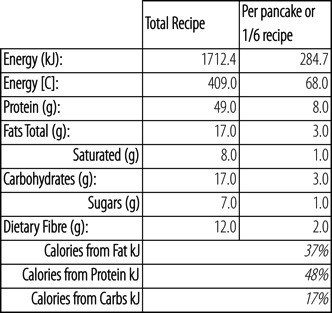 I’ve given macros for the plain pancakes, without toppings and without accounting for any cooking oils used. Whatever you add, you should add in the macros to the following. This is true for anything you add to the pancake batter for each.